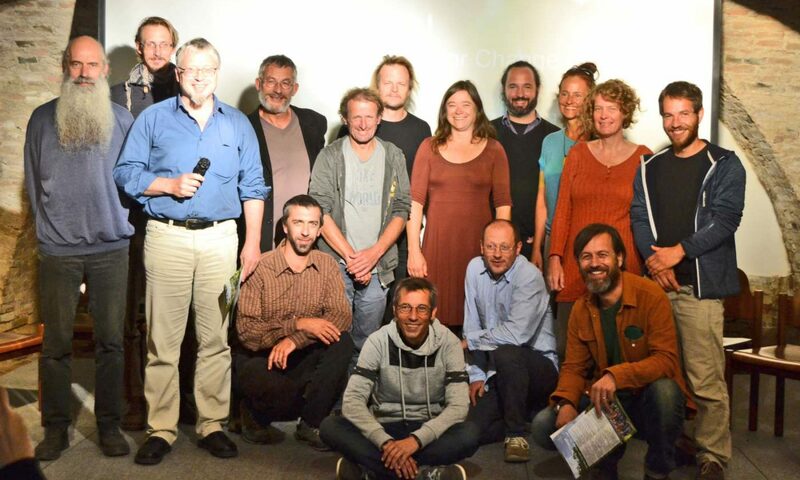 We laid our foundations (intentions, O1.1), organized the work groups by defining what trainers in eco-construction do and how they do it (O1.2), and prepared our toolboxes to do the work and measure its quality (O1.3). So now it’s time to bring it all together: We are eco-builders. This has to be specified, in our case focusing on the intangibles (the how) rather than technical skills, construction methods etc. ad 1. Extending O1.2 was done by interviewing each partners trainers, which resulted in 43 transcript pages. Power to the redaction group! ad 2. With the specification “complying with ECVET”, after a thorough analysis of the XXI trainer, it did not come out satisfactory: “The content is very general, too ‘neutral’ for our case; construction works and site conditions are not taken into account at all.” On the other hand, the 6 units of XXI trainer have perfectly ECVET compliant learning outcomes. And: there is an attempt to include sustainability (called “green attitudes”) under the transversal competences. ESCOT has been reviewed also: it has a list of trainer’s skills very close to our O1.2 results (although not taking into account construction site conditions) and puts emphasis on trainers’ identity and trainers’ ethics. 1. Attention: How can we get people interested? 2. Information: Which knowledge is relevant? How is it to be delivered? 4. Evaluation: Assessing the results (manual skills, technical choices, the what, how and why of all that has been done) is essential. It can be done by telling the trainees or encourage them to tell themselves.